The basis of any dog training program is Obedience Dog Training. 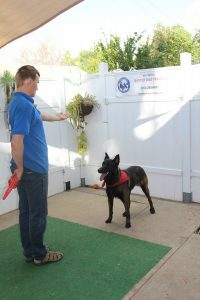 Without it, a dog can not proceed to advanced dog training techniques such as Shutzhund, protection, or therapy. Dogs of every breed and temperament can undergo obedience dog training, as long as the correct method of dog training is used, and the training is done consistently and correctly. After completing the Obedience Dog Training Course, you will be able to use both voice and gesture commands to control your dog. 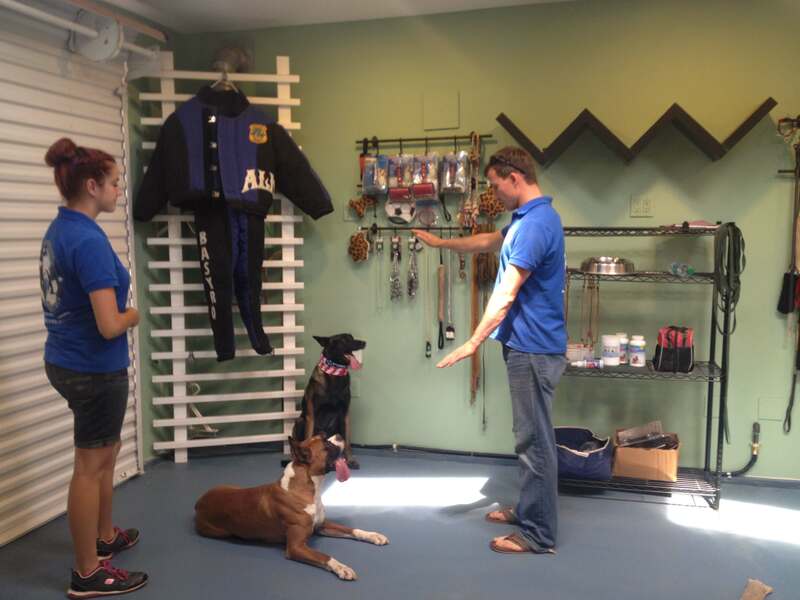 In order to determine the proper method of obedience dog training for your dog, our professional trainers will first test your dog’s nervous system. There are 4 nervous systems a dog can possibly have: Choleric, Sanguinic, Phlegmatic, and Melancholic. A Choleric dog is one whose nervous system is constantly in an elevated state, and has trouble calming down. Many choleric dogs are also aggressive. In order to solve an aggression problem, the dog must be obedient. A dog with this nervous system may take longer to train than the next nervous system, which is Sanguinic. A Sanguinic dog will be able to make the transition from play to calm very quickly, and is the easiest dog to train. Although your dog may not behave very well now, it is still very likely that he or she has the sanguinic nervous system. The obedience dog training program for this nervous system is the shortest out of the four. You may have a Phlegmatic dog if you have trouble getting your dog interested in playing with you, or it may seem at times that he or she lacks the energy to even go on walks. We use a more gentle approach in obedience dog training with this kind of dog, and the training program may take longer than one with a sanguine dog. The last nervous system that may occur in a dog is the Melancholic nervous system. Your dog may be melancholic if you have trouble getting him or her to be active at all. This is one of the most difficult dogs to train, but they are trainable if given the right amount of time and the correct training. After training, your dog will be obedient even in the presence of other dogs. Does your dog have problems with other dogs, or even people? Do you want to be able to take him or her with you on walks without fear of him or her snapping at a passerby? The experts at Master Dog Training can help. With over 15 years of experience working with virtually every kind of dog, we can solve any behavior issue, but the most important thing in training an aggressive dog is making him or her obedient. With a combination of agility dog training, obedience dog training, and socialization, we can make your aggressive dog well-behaved, friendly, and confident. 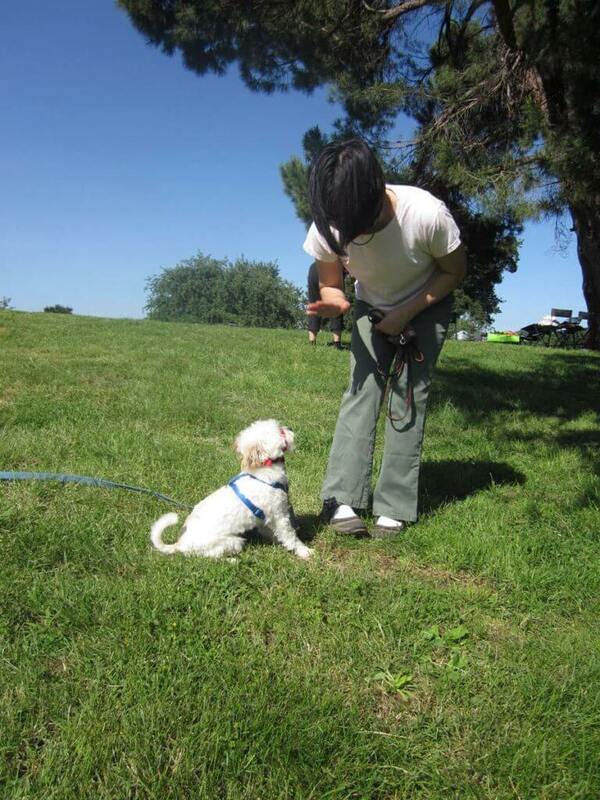 Master Dog Training will work with a dog of any size or breed! Register For Obedience Dog Training Today! ewly obedient dog at the end of whatever program you choose. We offer Obedience Dog Training Courses for every dog’s breed – from small breeds, like Yorkshire and toy terriers, miniature Pinschers, and Chihuahuas, to breeds such as Labradors, German shepherds, Golden Retrievers, Pitbulls, and Malinois, as well as many other dogs. Was your dog hit by a car? We can help you to avoid this accident in the future! 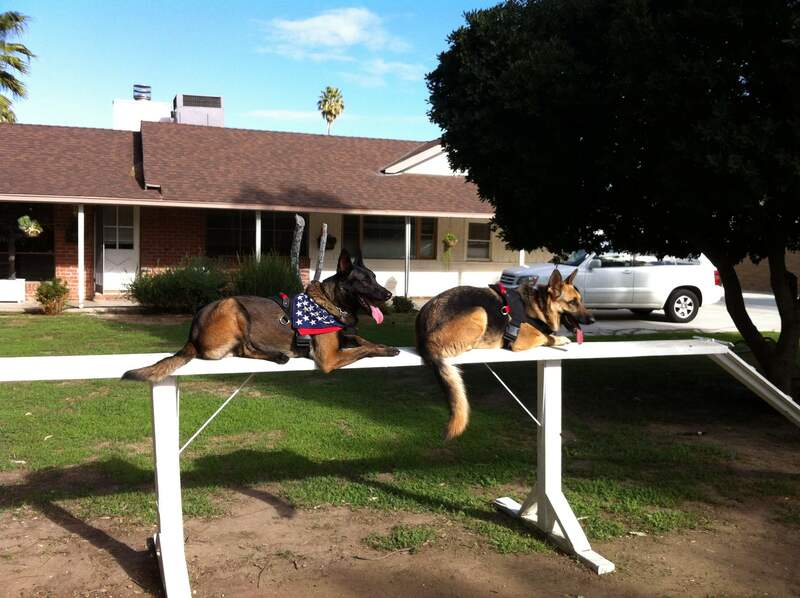 Master Dog Training specialize in car evasion training, that teaches your dog how to avoid moving or parked vehicles! We also offer individual programs based on specific owners needs! Having fully trained dog makes you feel comfortable outside and inside the house. Find out more about car evasion training, call us at 818-290-9411.